Further information on packaging and loading capacity, kindly feel free to contact us. 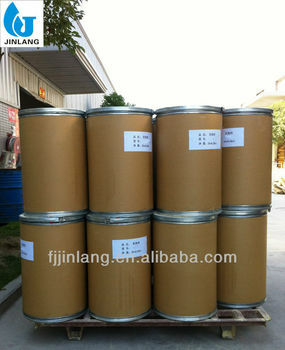 JTR-H is widely used in the foaming of plastics, EVA, PE, PVC and many kinds of rubbers. It is particularly suitable to the hot-pressing molding of EVA shoes material in large or small molds. JTR-H decomposes at around 160°C in EVA/rubber mixture to release useful nitrogen, carbon dioxide and small amount of ammonia. Its decomposing temperature is not high, no activator is needed. It can decompose completely within a short time and no unnecessary color resulting from the residual. A small quantity of zinc oxide, stearates and stearates salt can be added to activate it decompose at a lower temperature. With mild decomposition, its decomposition process matches the half-time decomposition of bridging agent (DCP), so the foaming speed is same with bridging speed. All these lead to the following results: fine cellular in the final products and time is reduced for foaming and bridging. Excellent in each property of final products, especially the great enhancement on rebound elasticity. Same with low-temperature foaming agents, JTR-M endows products with excellent whiteness without adding too much such white paint as titanium dioxide, which avoids affecting other physical performances of the final product. JTR-H is free of formaldehyde generated by common low-temperature foaming agents. As an ideal modified AC foaming agent, JTR-H foaming agent integrates the merits of both high- and low-temperature foaming agents together. JTR-H has good storage stability under common temperature. It should be stored in a cool, dry place away any sources of heat, spark, open flames, or direct sunlight. Never let it contact directly with organic acids or inorganic acids. Each 25kg of this blowing agent is packed in an international standard corrugated paper carton or fiber drum with a polythene liner inside. Welcome your vist and contact!